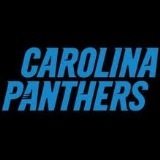 A well thought-out and efficient design in keeping with the Panthers brand image. 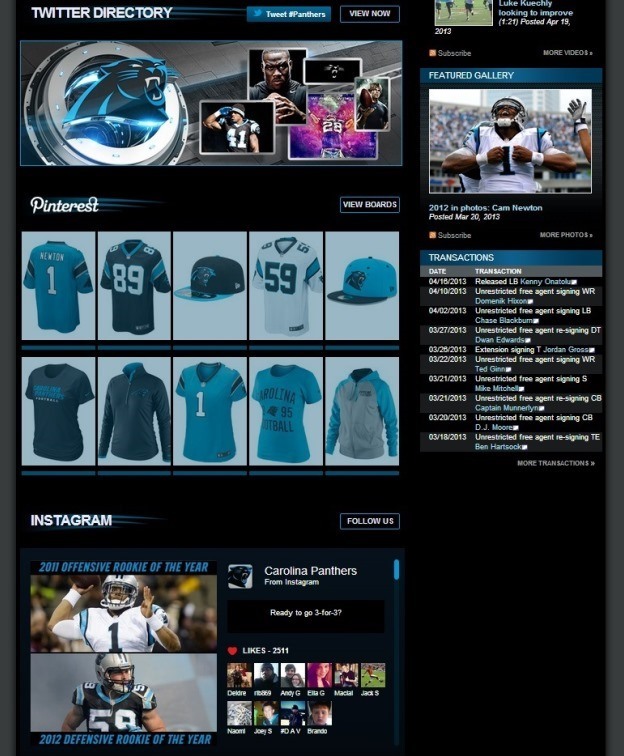 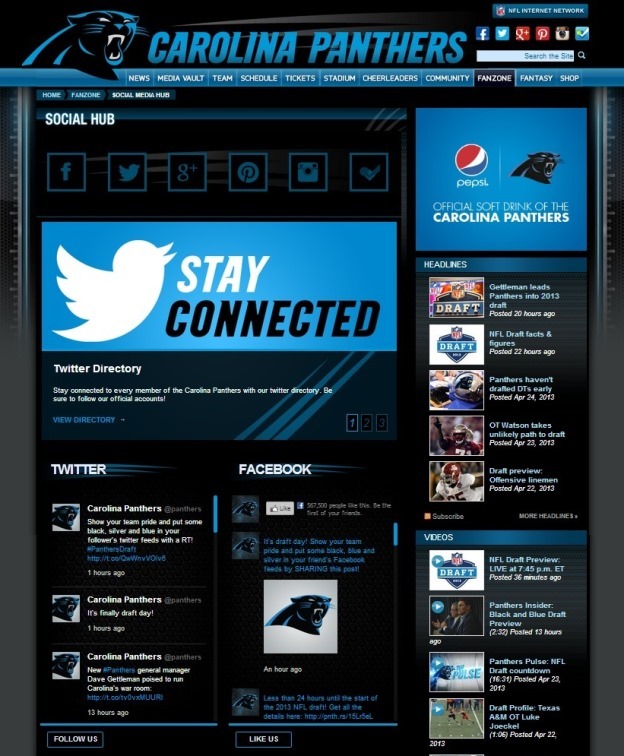 Links to and feeds from all of the Panthers active social media channels (Facebook, Twitter, Google+, Pinterest, Instagram, Foursquare). 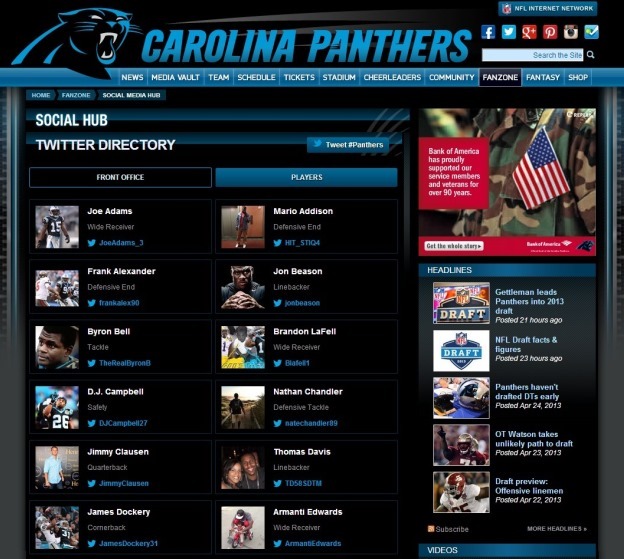 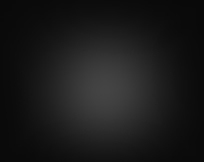 Twitter Directory showcasing account listings from Team and Player categories. 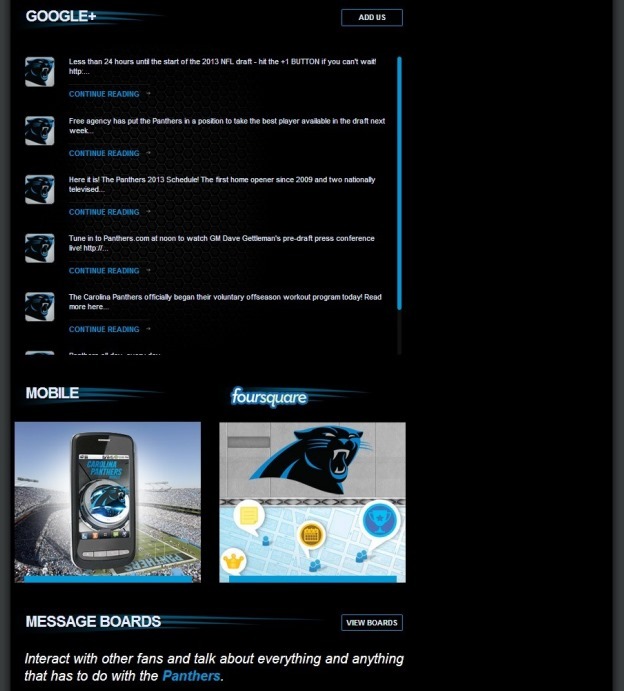 Callout for the Panthers’ Mobile App. 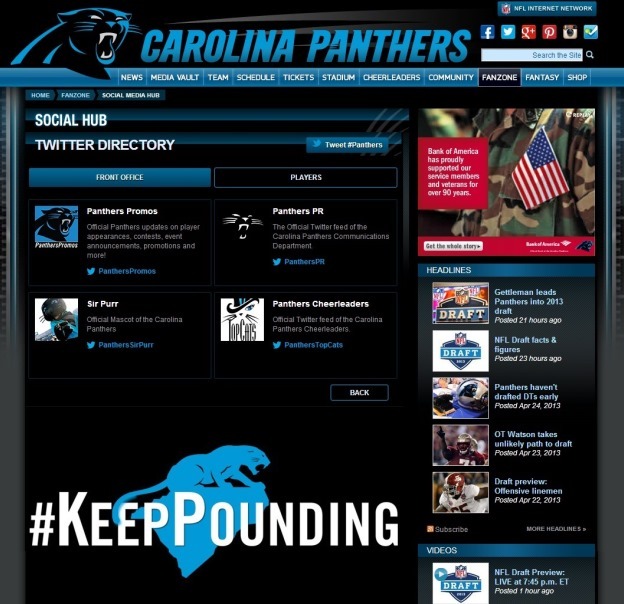 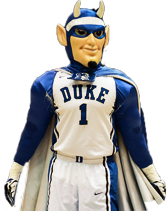 Callout for the Panther’s Message Boards.